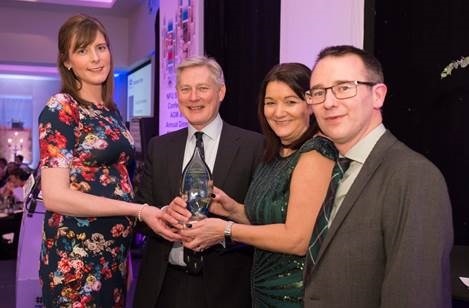 NFU Scotland’s Perth branch agents attended the insurer’s AGM held at the Radisson Blue hotel in Glasgow last week where they were awarded The Membership Flame Award. The Membership Flame is an NFU Scotland and NFU Mutual award that recognises outstanding efforts in recruitment and retention of members. The achievement is greater giving that both Margaret and Katy have only been in post since 2017. Looking after the interests of 450 members across four branches – Perth, Crieff, Blairgowrie and Highland Perthshire – it makes them two of the busiest secretaries. It was a double celebration for the Perth team with the official opening of their new offices at Broxden Business Park held last week, with Scottish stand-up comedy star Jim Smith cutting the ribbon.